In light of Valentine's Day (as well as my upcoming wedding this summer! 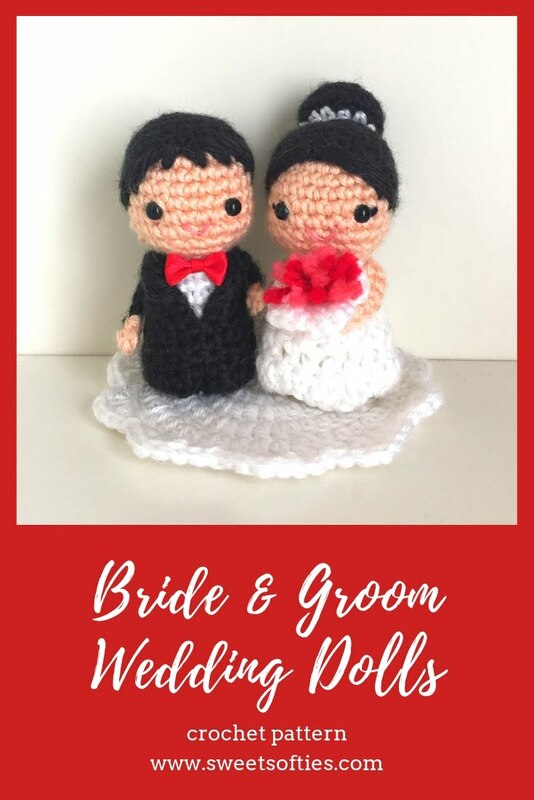 ), I have crocheted a chibi bride and groom couple. 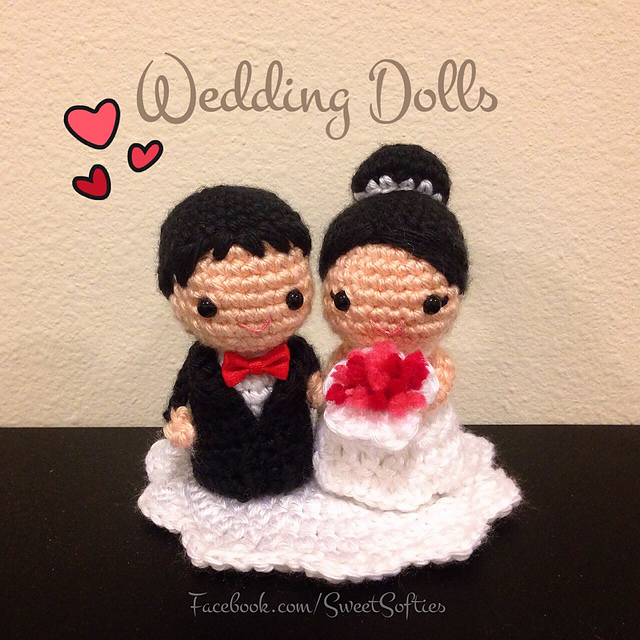 They can make adorable wedding decor, gift to a newlywed couple, or even a wedding cake topper given their petite size! With their kokeshi-style bodies with no legs, they are adorable and quick to work up!